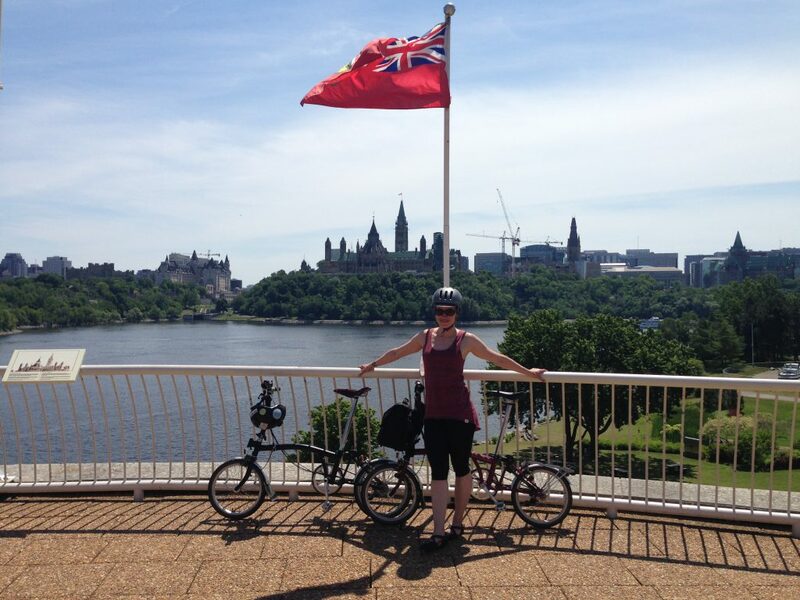 Home Canada	Ottawa: Sunday Bikedays! So Ottawa does this awesome thing every Sunday, from mid-May to Labour Day weekend in September, called “Sunday Bikedays” where select highways (or parkways as they’re called in Ottawa) are closed to motor vehicles and open to pedal-power! We were so excited to take part! Though we’ve cycled on highways in Cuba, that was a whole different experience since bikes and horses and buggies are allowed on Cuban highways and there are very few motor vehicles on the roads. 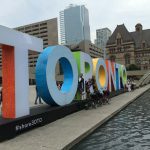 However, in Canada bicycles aren’t allowed on four or six lane highways since these roads are generally choked with cars whizzing by at a deadly 120km/hr (or gridlocked at 5km/hr). So being able to ride on a highway is super novel in North America. Though I was a little worried that we’d be the only people on the road, since Ottawa seemed pretty deserted that weekend. 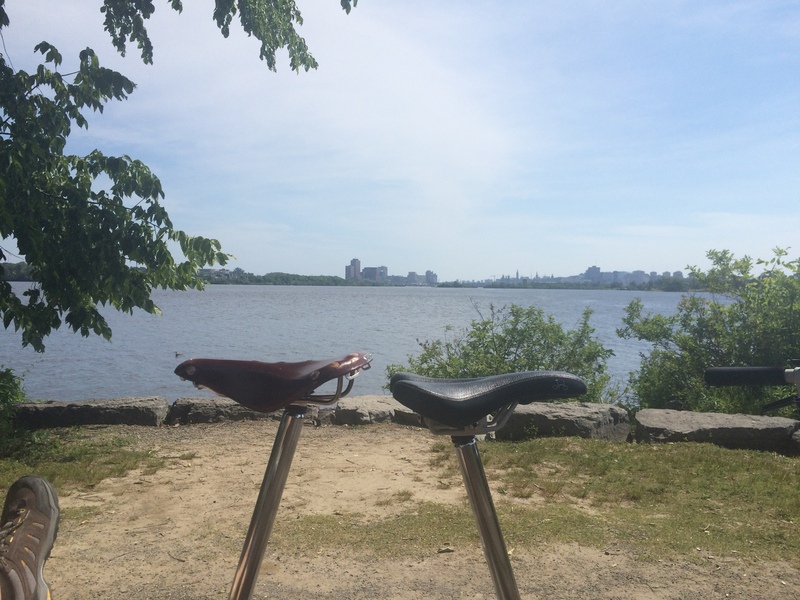 But, evidently, everyone was just saving their energy for Sunday Bikeday! As you can see, the parkway is open to cars traveling eastbound into Ottawa. 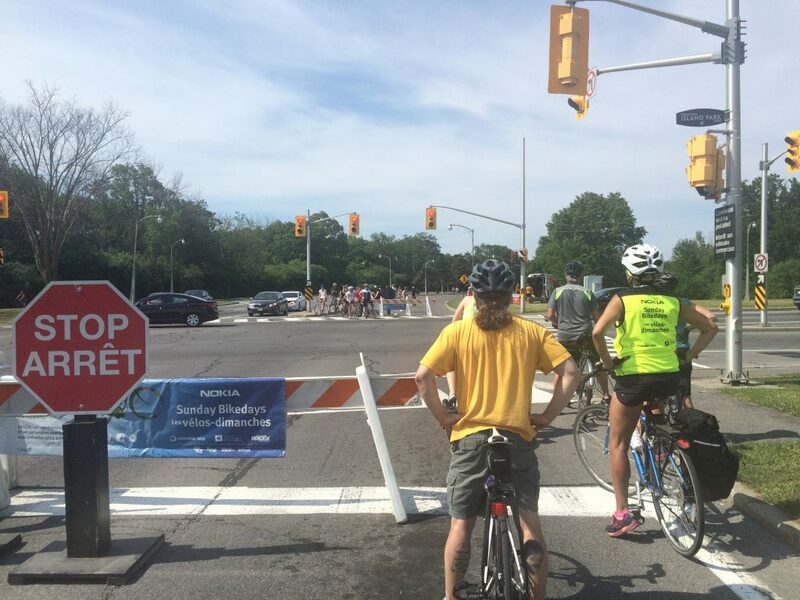 Just the westbound lanes are closed to cars and open to cyclists. And we’re off! Cyclists of all stripes: road racers, families with kids, casual riders, and two tourists on weird fold-up bikes. 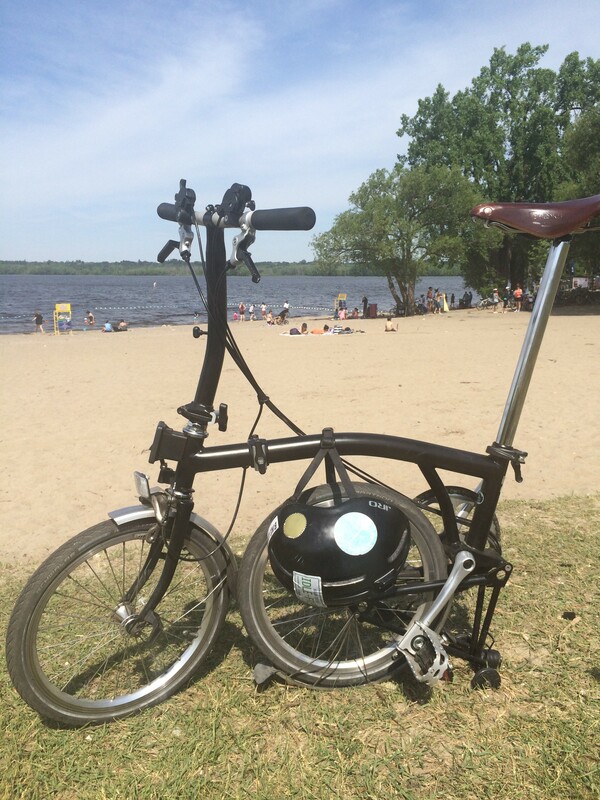 😉 We saw more people cycling on the Sir John A MacDonald Parkway than we’d seen in the city all weekend! 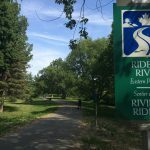 And this is just one of FOUR parkways that are open to cyclists for Sunday Bikeday. 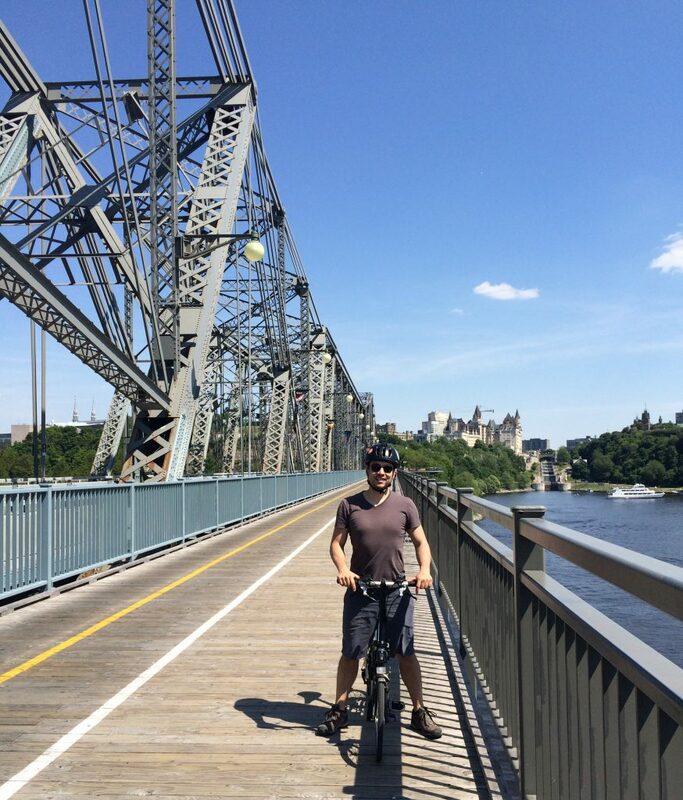 Apparently the most popular one is in Gatineau, but it’s the longest and we didn’t have time to ride it. Next time. 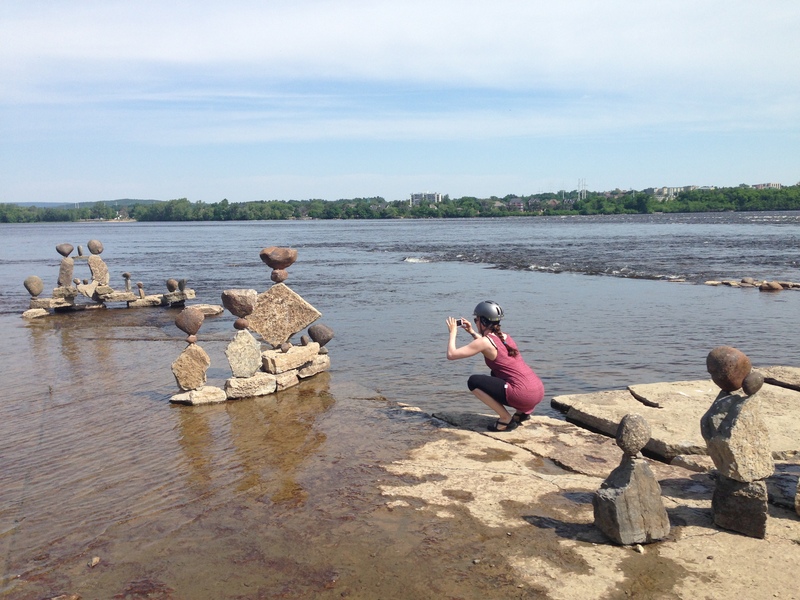 We took a short detour off the parkway to the bank of the Ottawa River to check out these neat rock sculptures by John Ceprano. 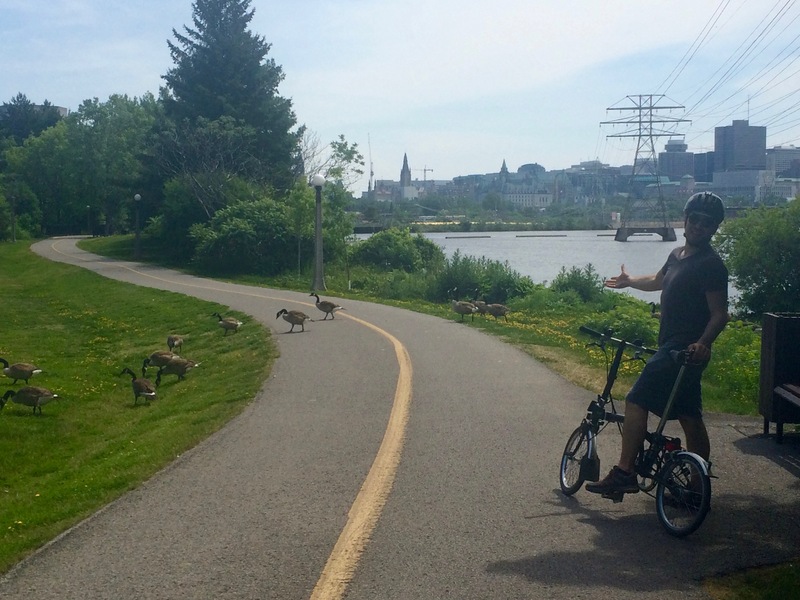 Note the bike path (aka the Ottawa River Pathway Trans Canada Trail) that runs right alongside the river. Heather taking pictures of the rock sculptures before riding off again. 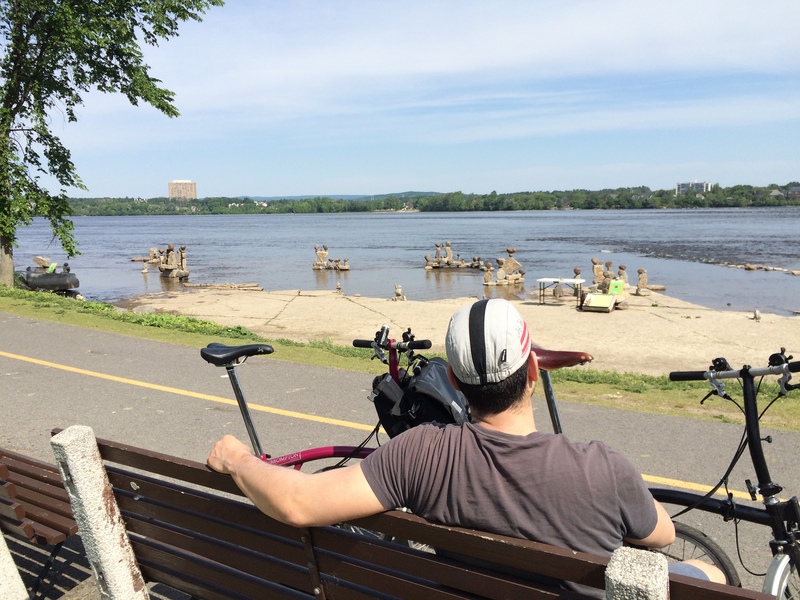 As you can see in the above photo, the Ottawa River Pathway runs beside the Sir John A MacDonald Parkway. In Ottawa, bike lanes parallel to major motorways is normal. 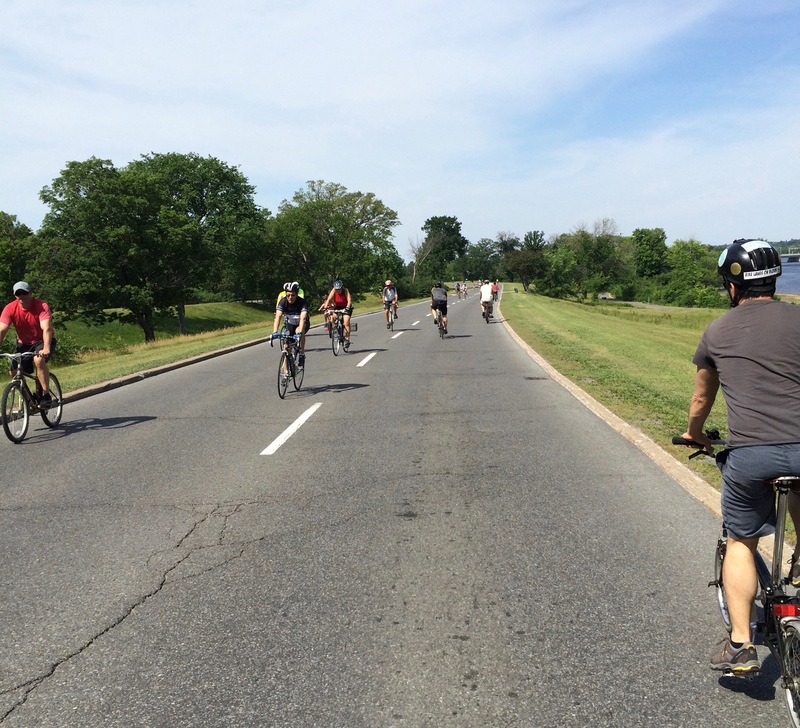 So though it’s fun to ride on the parkway, if we couldn’t there’d still be a bike lane RIGHT BESIDE IT. The amount of cycling infrastructure in this city blows my mind! Then we doubled back to Island Park Drive and turned onto the Champlain Bridge. Halfway across we stopped to check out Bate Island. From Bate Island, the view of Gatineau and Ottawa across the river. 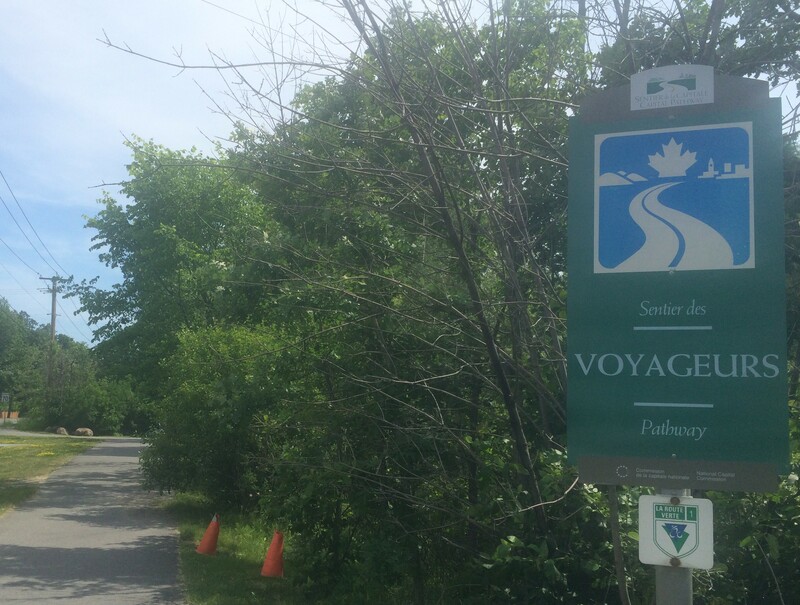 Then we continued along the Champlain Bridge into Gatineau and picked up the Voyageurs Pathway, part of Quebec’s La Route Verte trail system, which goes all the way east across Quebec and is totally on our Bromptoning To Do List! 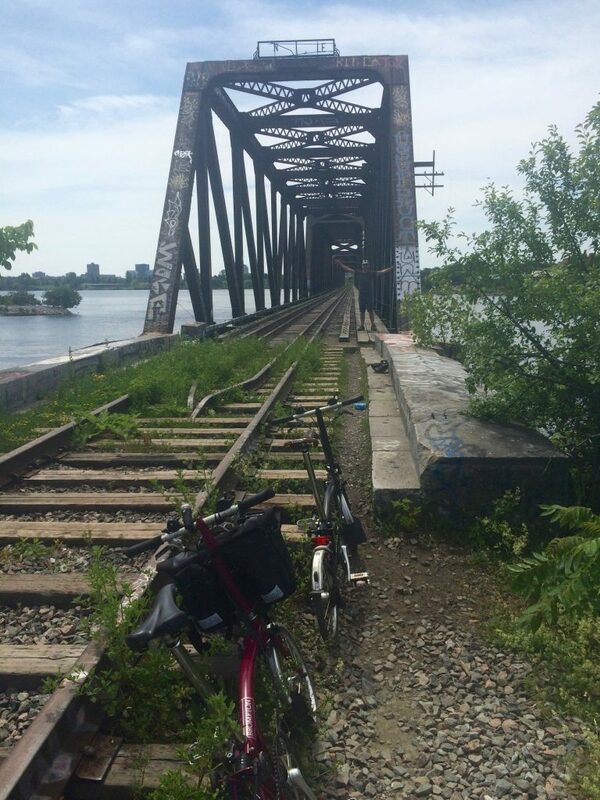 The path passes over this old rail line where there’s a bridge that crosses the Ottawa River to Lemieux Island and Ottawa. Trains no longer use it, but there are wooden planks along one side for people to cross on foot. Or so we deduced since we saw a couple cyclists and pedestrians cross the bridge. So if you don’t want to go all the way to the Champlain Bridge, this is a shortcut over the river between Gatineau and Ottawa! Back on the Voyageurs Pathway we encountered some Canadian geese crossing (typical) and a canoe sculpture in the Parc des Portageurs. And came out to a view of Parliament Hill. 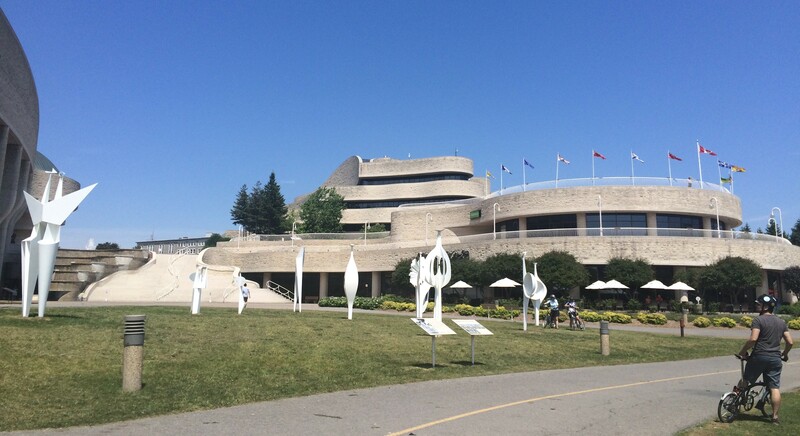 And finally the path led us right to the Canadian Museum of History. 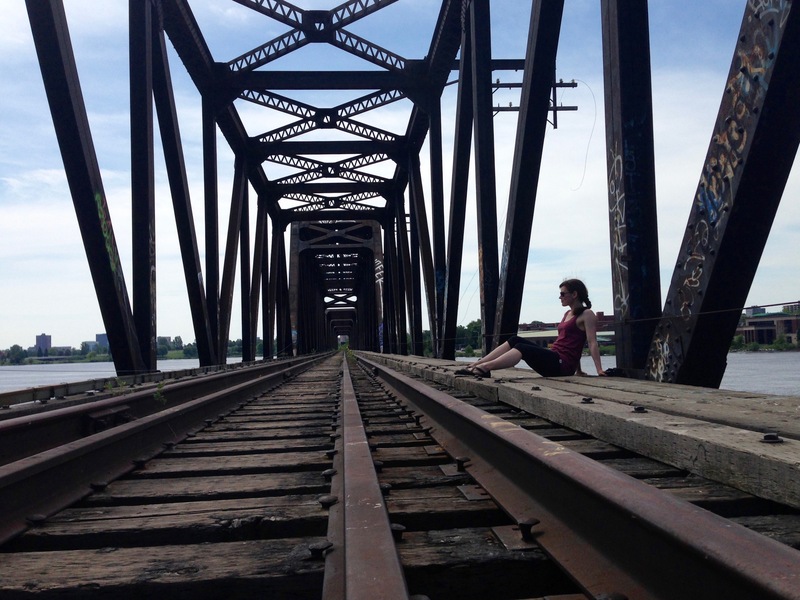 Then it was back to Ottawa via the Alexandra Bridge to catch our train home. 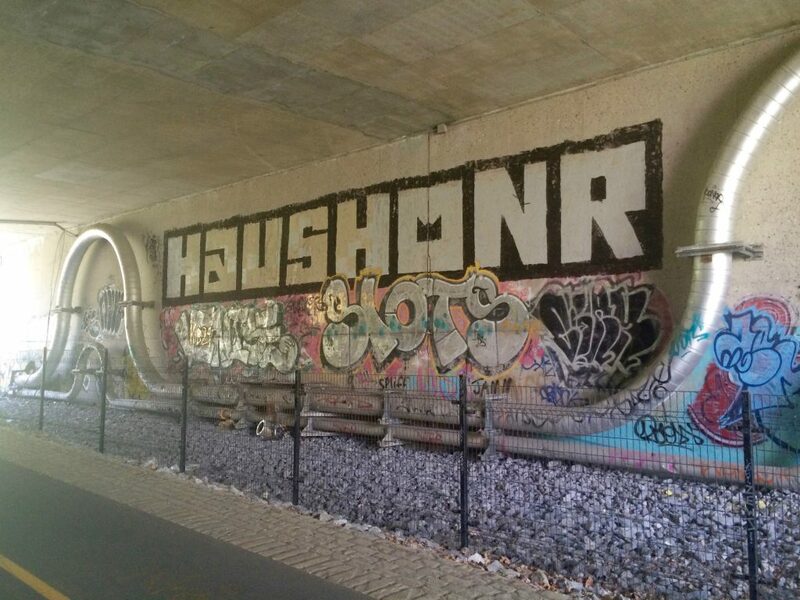 All in all, an excellent Sunday Bikeday! 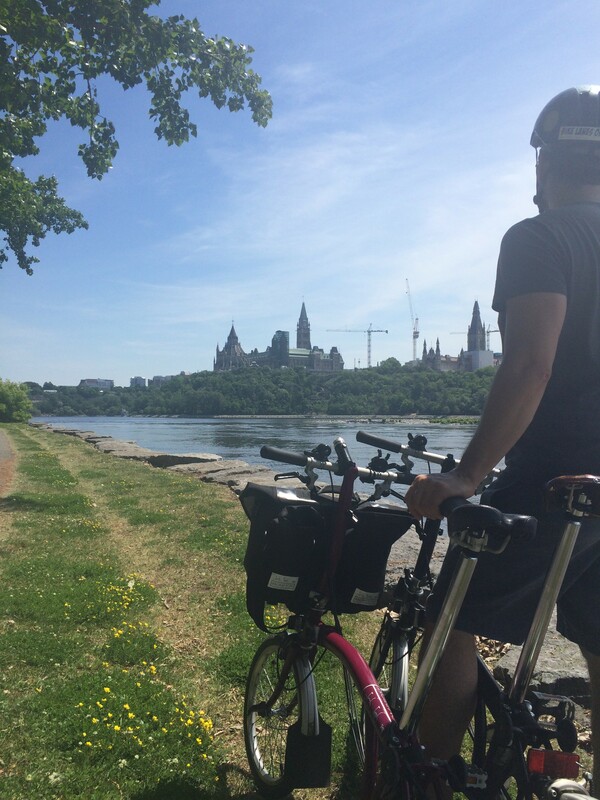 If you’re ever in Ottawa, be sure to bring or rent a bike and take advantage of cycling on the parkways on summer Sunday mornings, as well as the scenic, well-maintained and convenient trails that make up the Capital Pathway. 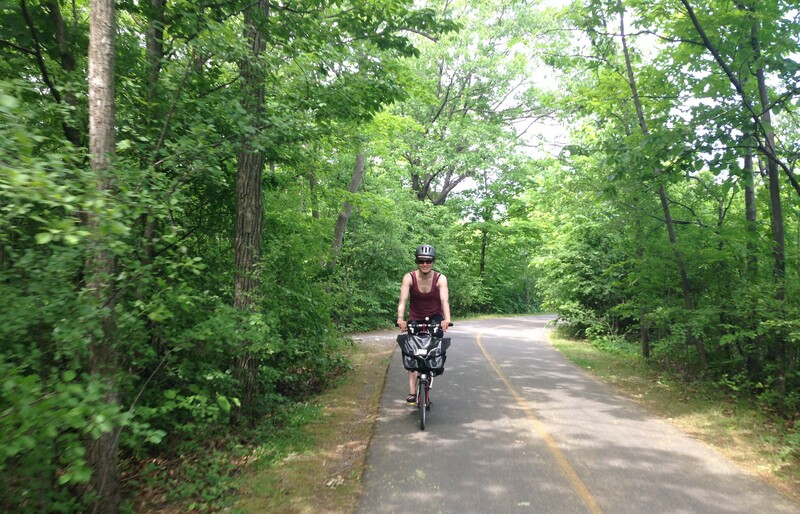 If you do come back to ride in Gatineau, be prepared for some rather long and somewhat steep hills.